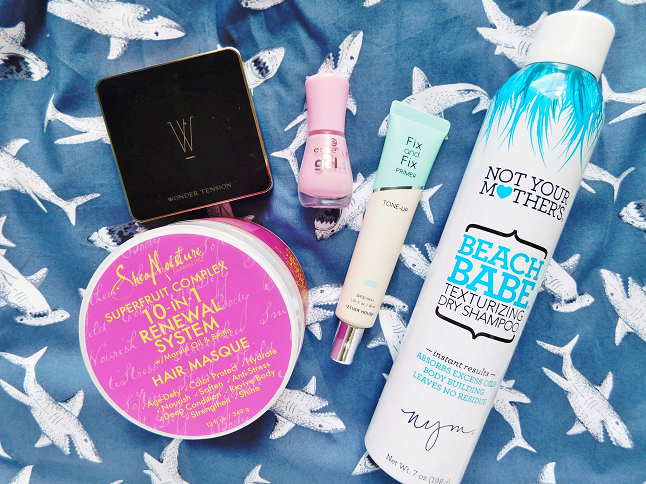 It's a new month which means a new selection of beauty favorites! 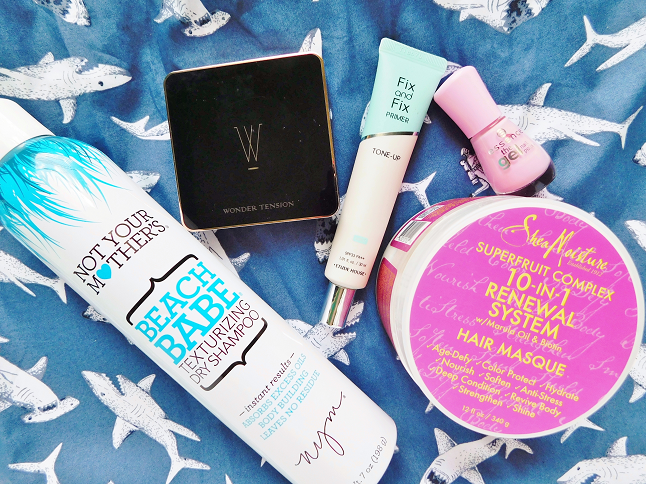 I've been buying lots of new products for summer but today I am just showing you the ones that stuck out to me. 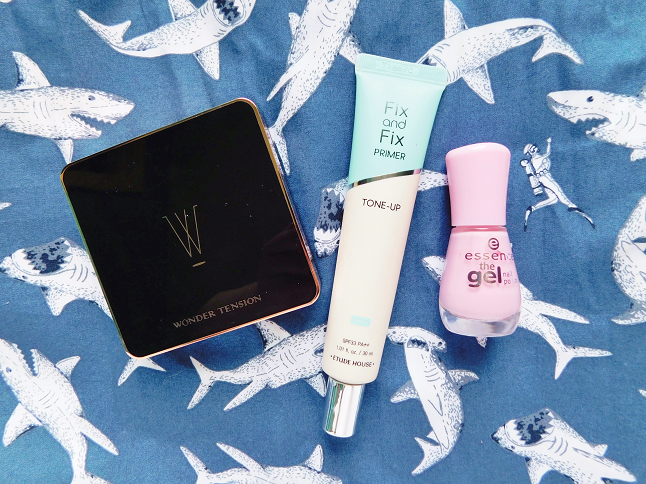 Here are my top 5 beauty products from the month of June. I bought this is late June and used plenty of times in June because it's an amazing hair mask! It's so moisturizing and makes my hair feel and look healthy after every use. I am almost done with this tub because I used up most of the mask when my hair was long but now that my hair is short I don't have to use as much as I did but I will still buy another tub when I finish this one. I was in Ulta when I discovered that NYM came out with a beach babe dry shampoo. 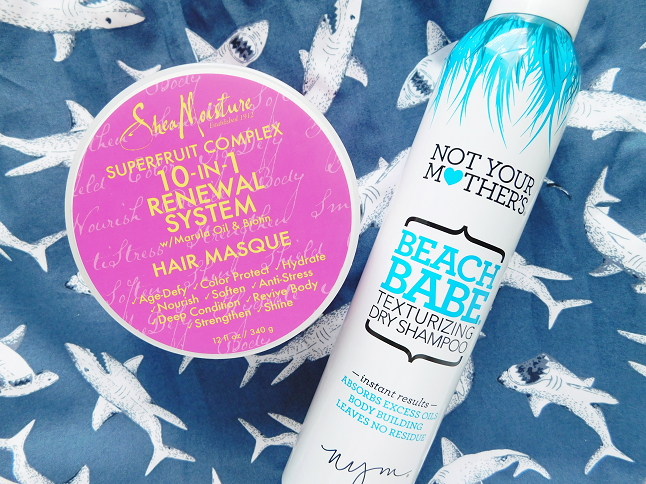 The beach babe spray (original not the banana one) by Not Your Mother's is one of my favorite hair products because of the texture it gives my hair. I love that effortless ocean waves look so I bought this without hesitation because I knew I would love it and I do! This gives your hairs lots of texture and volume and still manages to make your hair look clean. It's been a while since I used a new cushion pact. This one by A'pieu was a pretty good cushion. The coverage is light, breathable, and sets within a few minutes. It's a great summer cushion because it has a light coverage if you don't have that many skin troubles this would be fantastic for you. Color correcting is something I've always been interested in but never dabbled in because I was scared to do. But I finally invested in a green primer because I suffer from redness on the side of my cheeks. This Etude House mint primer reduces redness while brightening your complexion. Just make sure not to apply too much product because it will make you look like a ghost! I've wanted to buy an Essence nail polish for a long time but never bought any before because their color selection isn't the best. However, I finally caved in and bought, which I've had my eyes on forever. The color is really pretty (though I have similar colors in my collection). The brush reminds me of the Sally Hansen nail polish but what I love most about this nail polish is the formula. It isn't too thin or thick and no matter how many coats you apply the color looks the same which is rare.